While this data has been anonymised for privacy, it represents accurate and attributable results from the SEO services I have provided to clients like you. This brand was struggling in organic search, despite having a good reputation and brand search traffic. The audit was performed in January 2018. 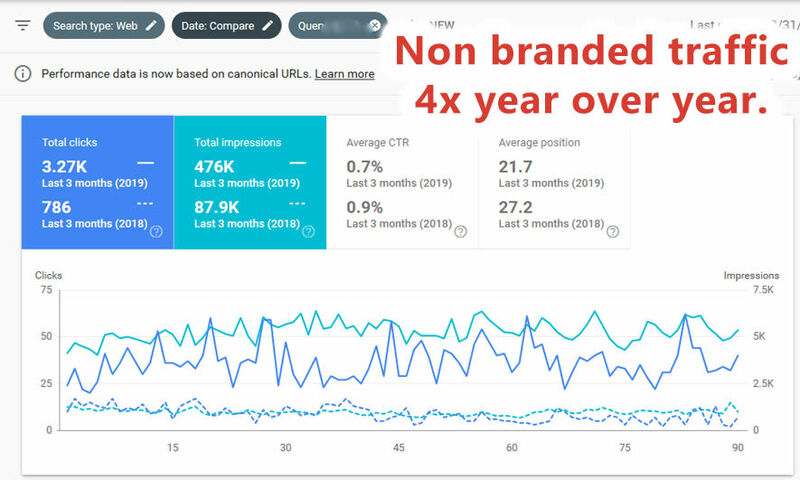 Just over 1 year later, their non-branded traffic from Google is up 4x. 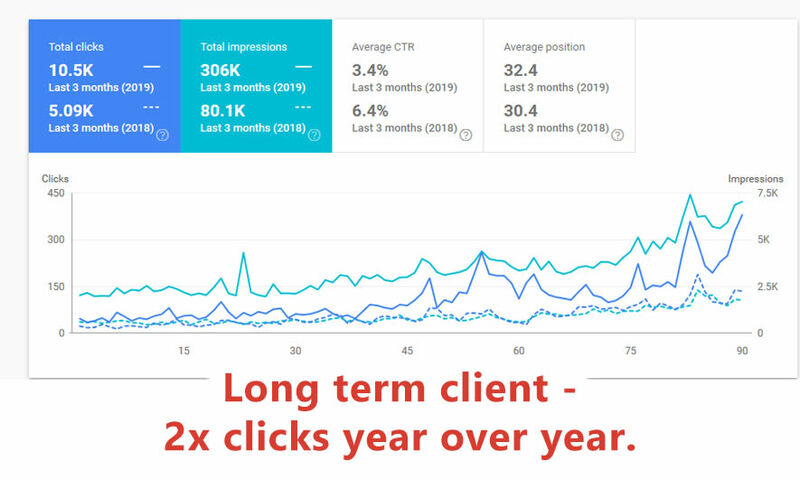 From 786 clicks to 3,270 clicks over 3 months (Jan-Mar 2019). Their online sales have doubled. 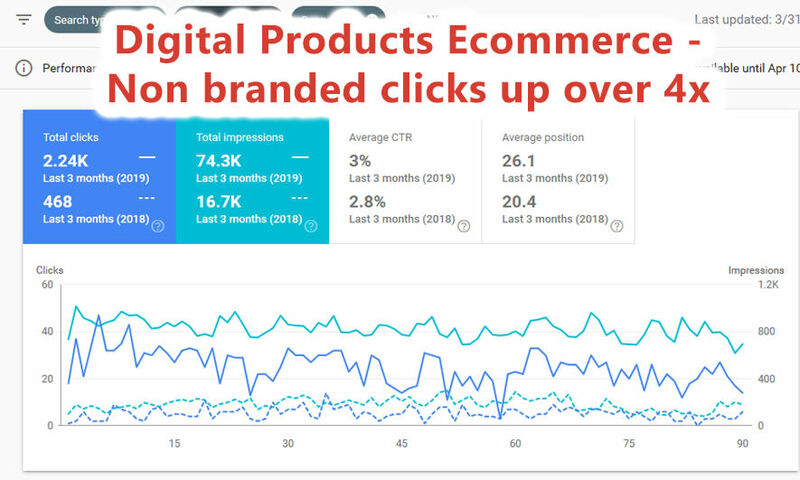 This is a long term ecommerce client, where I am consistently improving their rankings and keeping up with Google algorithm changes. Ongoing services still providing results. 2x traffic from Google year over year. From 5,000 clicks to 10,500 clicks over 3 months (Jan – Mar 2019). Online sales up 77% year over year. 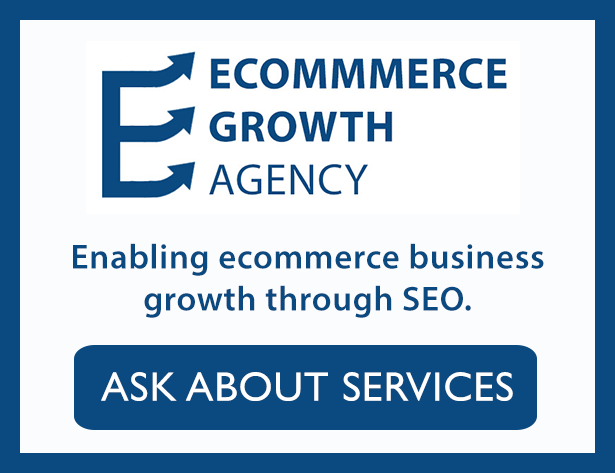 This fashion ecommerce website is continuing to growth with ongoing SEO services. 3x traffic from Google year over year. From 10 clicks to 60 clicks per day average. Now expanding into more countries and product markets. 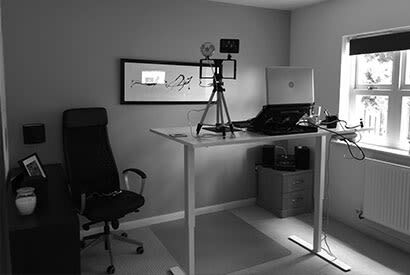 This informational site is consistently growing as a result of an SEO audit and ongoing services. *Note: A https migration made it hard to compare GSC graphs of before April 2018 (it changes the scale of clicks / impressions on the charts), so I’ve included Ahrefs data to show over time growth (the GSC screenshot shows the actual monthly traffic of 5,000 clicks per month). 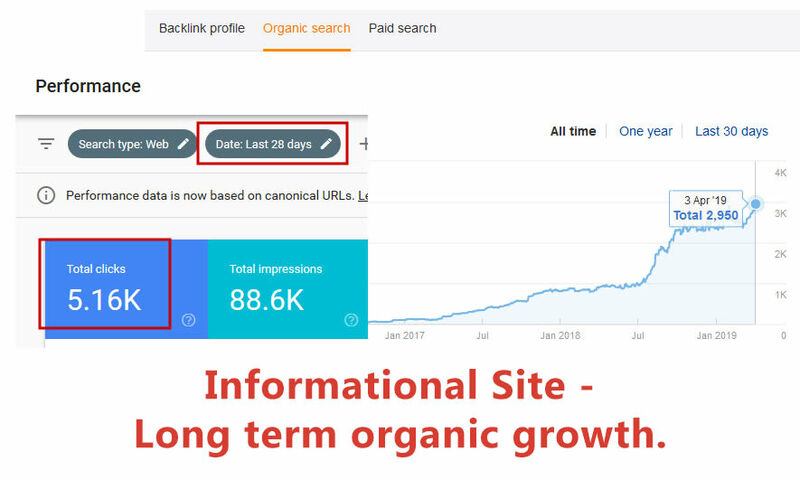 2.5x traffic from Organic Search year over year. Fast becoming the market leader on the topic. This digital products ecommerce site previously relied heavily on PPC to generate sales. 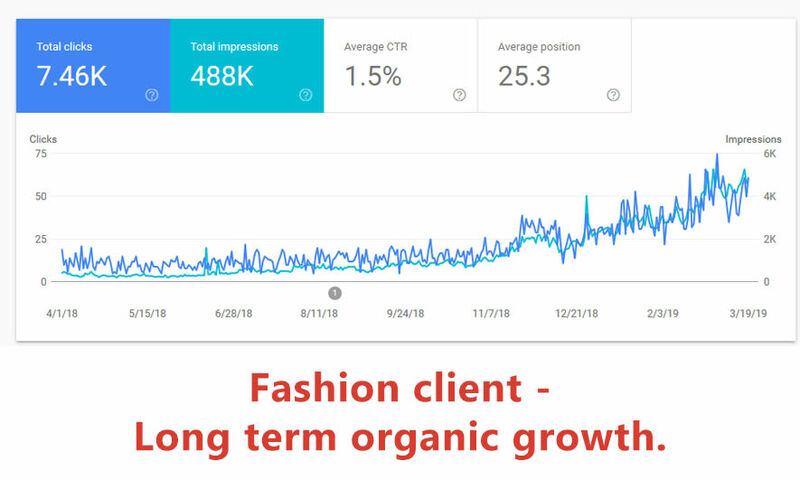 After an in-depth SEO audit and implementation services, they were able to replace their PPC traffic with organic. SEO implementation of audit recommendations. Non-branded organic clicks up over 4x year over year. 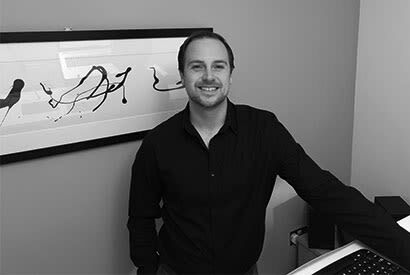 You can view my range of seo services available here.